Found 16 blog entries for September 2015. Wednesday, September 30th, 2015 at 2:48am. Ever wanted to live in Sherwood Park? Now is your chance to make that exact thing happen! Introducing our newest Edmonton Home For Sale! 4 bedrooms, 2 baths and 1,533 sq ft of pure living space. Relax your senses and allow peace of mind to flow into you, this home will provide you with the best environment to grow and be at peace. With a selling price of only $377,900, who wouldn't be at peace? It's quite a bargain. Take a quick tour inside your future home. 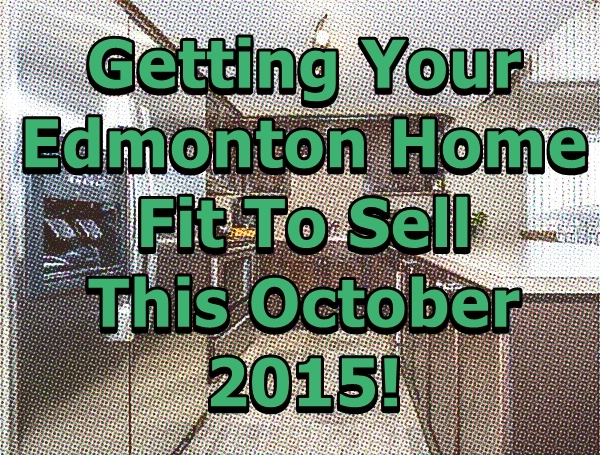 Getting Your Edmonton Home Fit To Sell This October 2015! Tuesday, September 29th, 2015 at 6:39am. Yay! It’s almost October! 48-hours left and we are officially on the 4th Quarter of the year. Based from our experience last year, this is the time where most Edmonton Home Sellers rush to sell so it wouldn’t get stuck with the “holiday season slowdown”. Yes. There is such a thing as the “holiday season slowdown”. You know, normal folks will focus more on celebrating than actually buying Edmonton homes. If you catch our drift, let’s being with the simple ways on how to get your beautiful Edmonton home fit to sell! Monday, September 28th, 2015 at 8:39am. 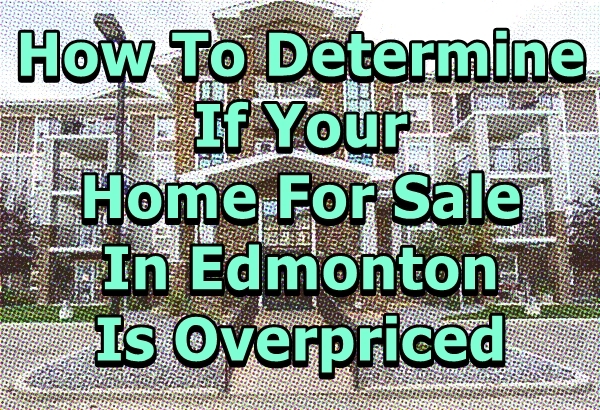 This Monday morning, we would like to share with you the simple ways to determine if your Edmonton Home For Sale is correctly priced or not. Overpricing is one of the main causes why there are homes for sale that gets stuck and listed on the Edmonton MLS for months on end. C’mon, we too would like to have you cash in big time but if you think overpricing the property is the way, then you better prepare for a really long wait. Okay, let’s start. To determine if your home is overpriced these are the things you should look out for. Sunday, September 27th, 2015 at 9:40am. Your Calmar Edmonton Home For Sale this Sunday! Take a quick but delightful tour of your future Calmar Edmonton home. This beauty has 4 bedrooms and 3 bathrooms sprawling on a 1,060 sq ft of living space. Close to public transportation, schools and universities, this is the kind of Edmonton home you would want your family to grow in. At $240,000, this is a great bargain! 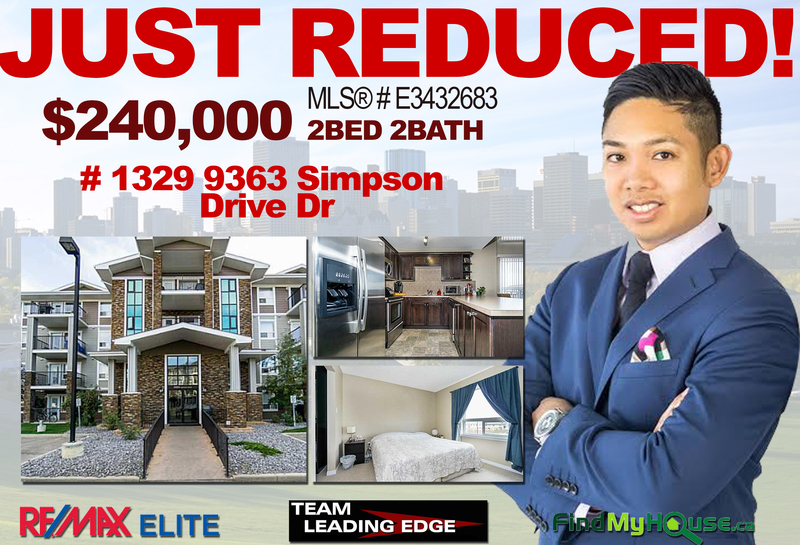 South Terwillegar Edmonton Home PRICE REDUCED! Now Only $240k! Friday, September 25th, 2015 at 5:34am. THIS IS PROBABLY A SIGN FOR YOU TO FINALLY OWN THIS BEAUTIFUL HOME NOW! This Edmonton Home For Sale located in # 1329 9363 Simpson Drive Dr is now only $240,000. 2 beds, 2 baths and huge 1,317 sq ft of living space is waiting to you once you move in here. Wednesday, September 23rd, 2015 at 11:01am. 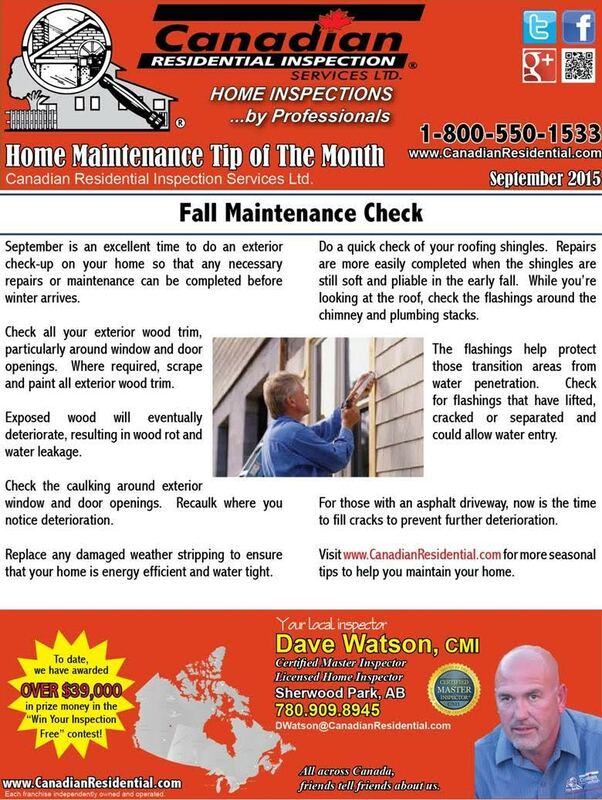 In this month's issue, our resident Edmonton home inspector, Dave Watson of Canadian Residential Inspections show us the simple but important ways to do a successful Fall Maintenance Check. Remember to subscribe to get monthly feeds on the latest Edmonton home maintenance tips. 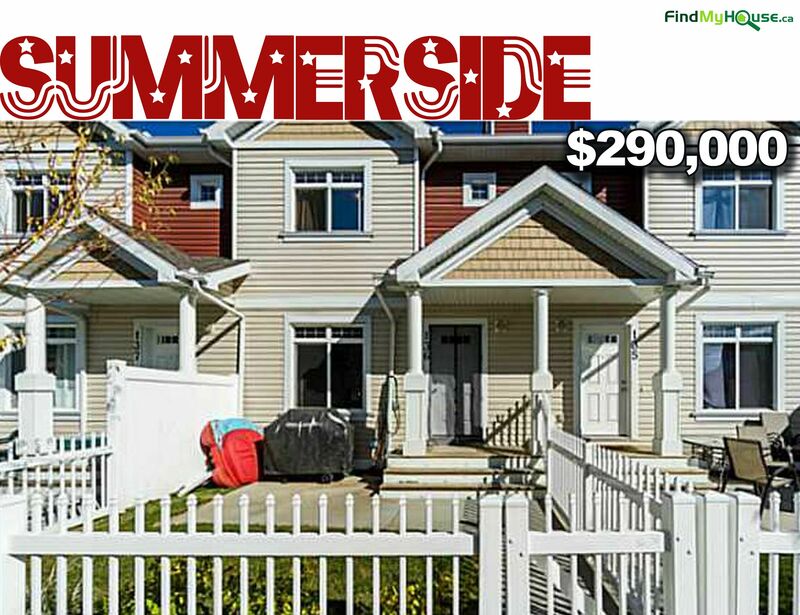 Home For Sale In Edmonton: Summerside # 136 1804 70 St, 3 Beds, 3 Baths, Only $290k! Thursday, September 17th, 2015 at 3:45am. With its radiant address, who wouldn't want to live here?! Summerside, # 136 1804 70 St, Edmonton! This home for sale features 1,203 sq ft of living space comprising of an open concept main floor with dark laminate flooring. Once you settle in here, you'll be the proud owner of a modern kitchen with glass tile blacksplash, Upgraded cabinets to the ceiling also awaits you! Woohoo! For a $290,000 price tag, this 3 bedrooms, 3 bathrooms Edmonton home is a perfect home for a hardworking Edmontonian like you--most of all, this is what your family deserves! Yes! 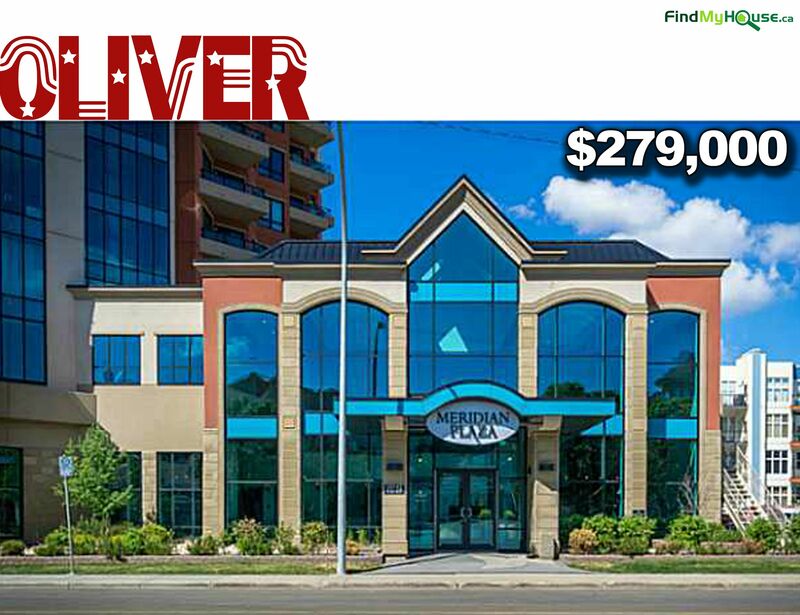 Home For Sale In Edmonton: Oliver # 207 10142 111, 1 Bed, 1 Bath, Only $279k! Thursday, September 17th, 2015 at 2:09am. Calling single ladies and gents, investors and first time home owners in Edmonton! This 1 bedroom, 1 bathroom condo unit in Meridian Plaza is on the market for only $279k! Oh yes! 667 sq ft of living space is more than enough for anybody who wants to start living life as an independent Edmontonian. Even better, this perfect for people looking to invest in the Edmonton real estate market. With such as low asking price and high potential rental profit your ROI will be in good hands! Tuesday, September 15th, 2015 at 10:46am. 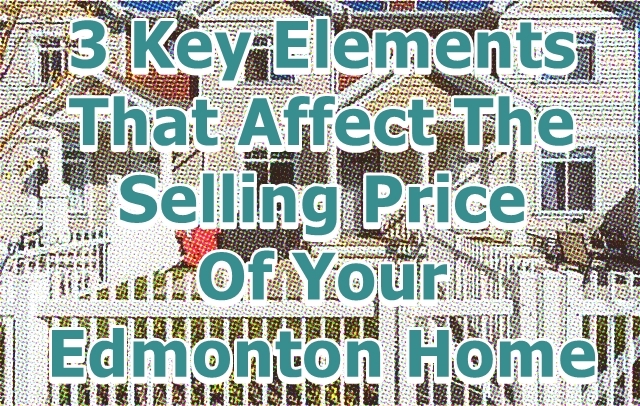 Edmonton home sellers usually wonder that elements or factors affect the sale price of their Edmonton property. If you’ve wondered or asked this yourself, then it’s your lucky day! Today at Team Leading Edge, we briefly layout the 3 key elements that will affect how much money you will have in your bank account after the sale. The first thing that affects the price is the EDMONTON REAL ESTATE MARKET ENVIRONMENT. The real estate market environment in Edmonton can be classified into two things; Edmonton Sellers Market & Edmonton Buyers Market. Saturday, September 12th, 2015 at 10:39am. Thinking of remortgaging your Edmonton home? 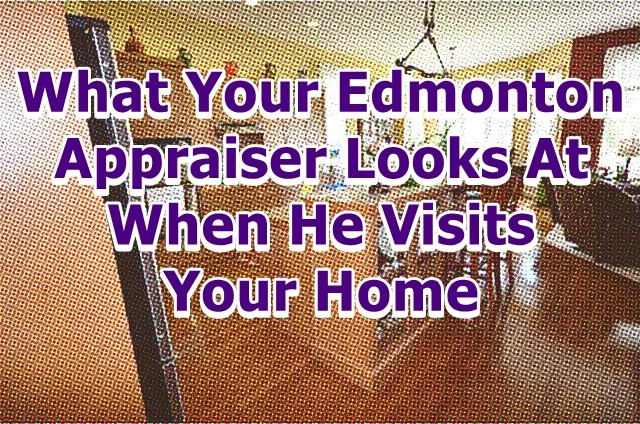 Then this is the perfect article for you to know what your Edmonton home appraiser is looking at in order to determine the specific value of the Edmonton property. FAÇADE AND SIZE. Before an appraiser enters your Edmonton property, he’ll first assess the façade and lot area (size). As a rule of thumb, the bigger the Edmonton house and lot is, the better is ranks up in the assessment since this would mean the property can be occupied by many people.